In the new year, many of us are focusing on eating healthier and moving more...myself included! For this month's Wendy's Favorite Things, I'm sharing some of my favorite healthier food finds that have helped keep my healthy eating goals on track the past few weeks. Let's get started!! (1) CedarLane Natural Foods Vegetarian Frozen Entrees. I try to balance indulgences with healthy eating for my good health, but I refuse to sacrifice flavor. CedarLane’s delicious line of frozen vegetarian meals helps me do just that! Their product line includes ready-to-eat frozen omelets, egg white frittatas, and vegetarian burritos. 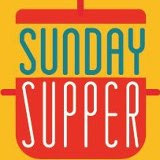 Their line of vegetarian entrees includes Eggplant Parmesan, Lowfat Garden Vegetable Enchilada, and Three-Layer Enchilada Pie. Every product I’ve tried in the line is tasty, filling…and healthy! My personal favorite entree is the Lowfat Garden Enchiladas. They're made with organic corn tortillas, pinto beans, cheese, and veggies…and topped with a lightly spicy sauce. It’s a delicious and filling meal that has just 280 calories and 6 grams fat for a hearty 2-enchilada serving. To find CedarLane products near you, be sure to visit their online Store Locator. 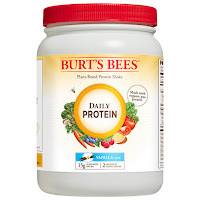 (2) Burt’s Bees Daily Plant-Based Protein Powder. You know Burt's Bees for its popular line of natural makeup and body care products. But you probably didn't know that they recently introduced a line of Daily Plant-Based Protein Powders. I've been using their Vanilla Daily Protein this month, and I'm loving it! It comes in Chocolate flavor too! Each serving contains 15 grams of plant-based protein, and it contains an optimal blend of plant-based protein and vitamins from fruits and vegetables. Each serving provides me with 15 grams of plant-based protein from Pea, Rice, Flaxseed, Sunflower Seed, and Oat, two servings of fruits and vegetables, and 10% of my RDA for a dozen essential vitamins. As an added bonus, it's non-GMO and made from 70% organic ingredients. The bottom line for me is that it tastes good! The instructions recommend stirring it into water, but I prefer it blended with milk and ice so it's more like a shake. The entire line of Burt's Bees protein powders can be purchased online directly from Burt's Bees. 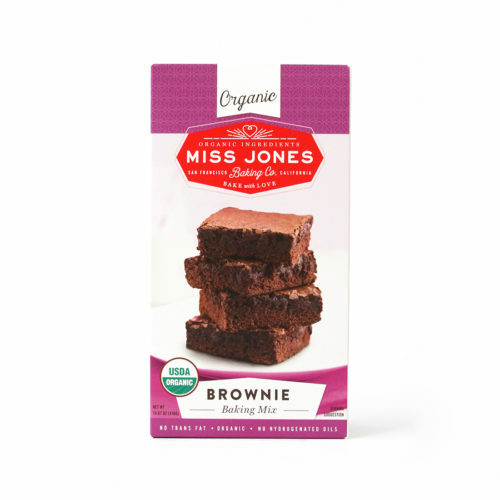 (3) Miss Jones Organic Baking Products. Even if you're trying to eat healthy, you're going to want to enjoy a sweet so you don't feel deprived. The key is to treat yourself smartly. I recently gave Miss Jones Organic baking products a try, and I really loved them! Their line of organic, non-GMO cake mixes, brownies, and ready-to-use frosting tastes great...and they don't have a bunch of hard-to-pronounce preservatives. So far, I've tried their brownie mix and Salted Caramel Buttercream icing. The brownies bake up fudgy, with a deep chocolate flavor -- and they even provide instruction to make the brownies vegan. The salted caramel frosting is made with sustainable palm oil from Colombia instead of butter...so it's vegan and dairy free...and it doesn't have any artificial colors or flavors. Hint: it tastes especially great spread on one of Miss Jones' brownies! To find these amazing baking mixes and frosting at a store near you, be sure to check out their Find a Store option. 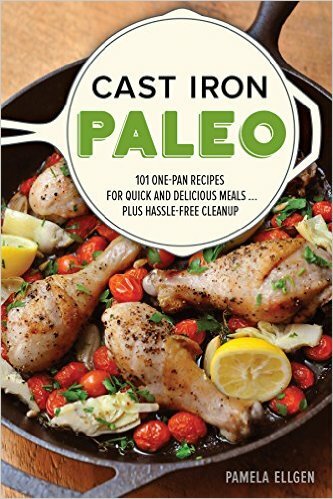 (4) Cast Iron Paleo Cookbook. If you follow a paleo eating plan -- or if you simply want to focus on eating more veggies and protein and fewer carbs -- Cast Iron Paleo is a fantastic cookbook! Whether you use your cast iron on the stovetop or in the oven, cast iron is a fabulous way to cook. Here in the South, cast iron pans are often handed down from generation to generation like an heirloom, so I was really excited to receive this cookbook. This cookbook contains 101 one-pan recipes for quick and delicious meals, including Sizzling Portobello Fajitas, Honey Mustard Rosemary Chicken Thighs, and Maple Glazed Pork Chops. As a bonus, one pan means less cleanup after dinner! This handy cookbook is available at bookstores nationwide, and it can also be ordered from Amazon. (5) Gorton’s Skillet Crisp Tilapia. One of my biggest stumbling blocks when it comes to eating healthy is the weeknight time crunch. When my schedule gets hectic, I’m more likely to grab takeout on my way home. 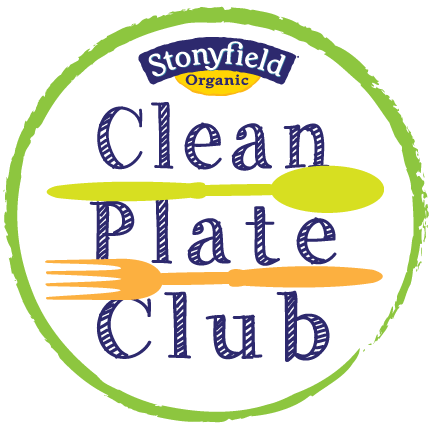 I recently discovered a great product that lets me get a healthy dinner on the table in about 30 minutes. Gorton’s frozen Skillet Crisp cooks up crispy and delicious in about 20 minutes. My favorite flavor is the Herb & Garlic – it cooks up crispy in a non-stick pan, and the mild tilapia is really moist. Each fillet contains no MSG, artificial colors or flavors, and just 180 calories and 8 grams of fat! That’s a fraction of the fat in traditional fried fish. I like to serve Skillet Crisp Tilapia with tossed salad and oven fries. Best of all? Because the coating is already nicely seasoned, you don’t need to add fatty tartar sauce to give your fish flavor. 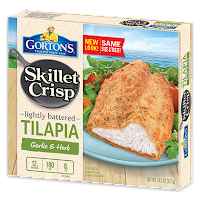 To find Gorton’s Skillet Crisp Tilapia in the freezer department of a store near you, visit their online Product Locator. (6) Sneaky Blends Cookbook. 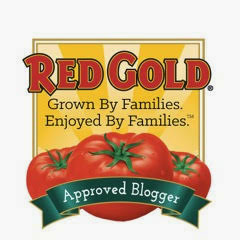 Do you or someone in your family struggle to eat your veggies? Sneaky Blends will help you "sneak" fruits and veggies into your daily meals in lots of delicious ways! Starting with Missy Chase Lapine's 15 signature Base Blends like Carrot-Sweet Potato or Butternut Squash-Apple. Then Lapine shows you how these nutrient-rich blends are used in recipes like 45-Calorie Pumpkin Whoopie Pies. Once you get the hang of how the blends work, you can then experiment and use the blends in your own recipes for your personal health and weight loss goals. Sneaky Blends is perfect if you have picky eaters in your life. They won't realize they're eating veggies -- they're just enjoying tasty food...and it will be our little secret. 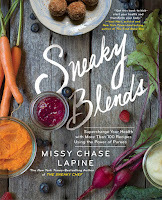 The Sneaky Blends cookbook can be purchased directly from publisher Simon & Schuster. Once you start using these delicious fruit and veggie blends, you'll be hooked! (7) Skinny Pop Popcorn. Popcorn is a popular snack, but it can be unhealthy if popped in unhealthy oils…or slathered in melted butter. 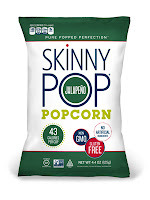 Skinny Pop has line of yummy bagged popcorn that’s contains no artificial ingredients…and it’s non-GMO and gluten free. It comes in lots of great flavors, including: Original, Sea Salt & Pepper, White Cheddar, Naturally Sweet...and new Jalapeno and chocolate crave-busting Dark Chocolate Dusted flavors. We especially enjoyed the lightly spicy Jalapeno, which has a subtle lime background flavor. When we have a craving for chips and dip, this provides a similar flavor and texture profile…for fewer calories and less fat. A generous 3.5-cup serving is just 40 calories and 9 grams of fat. Skinny Pop is also popped in heart-healthy sunflower oil. 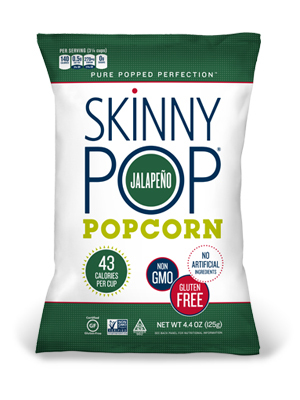 To find Skinny Pop at a store in your city, visit their online Store Locator. (8) VitaTop Muffin Tops. Even if you have healthy eating goals, sometimes you just want a little treat. Enter VitaTop Muffin Tops! Whether you need an on-the-go breakfast…or an afternoon pick-me-up…there’s a VitaTop Muffin Top flavor for you! They taste great, and they include key vitamins and minerals, 4-to-10g fiber, and very little fat! Check out some of these flavor options: Cran Bran, Triple Chocolate Chunk, and Wild Blueberry. My personal favorite when chocolate cravings hit is the Deep Chocolate flavor. Each great-tasting muffing top contains cocoa, chocolate chips, whole wheat, and organic sugar. I heat my muffin top for 10-15 seconds in the microwave for a fudgy treat that I don’t have to feel guilty about: each muffin top contains 100 calories, 1.5g fat, 9g fiber, and 4g protein. For a filling 200-calorie breakfast, I love to pair my VitaTop Muffin Top with a 100-calorie container of Greek yogurt. 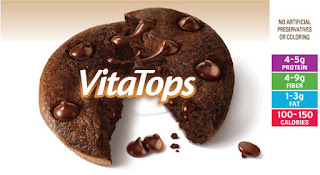 To find VitaTop Muffin Tops near you, visit the Store Locator on their website. 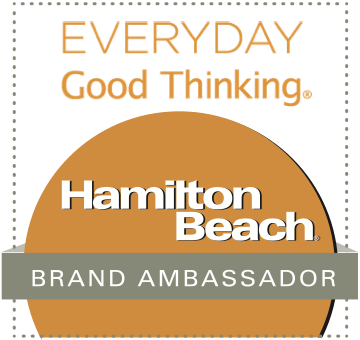 Description: The products featured in Wendy's Favorite Things provided me product samples to facilitate inclusion. I never recommend a product to my readers that I haven't personally tried and enjoyed myself. All opinions expressed are solely my own. Do you want to eat healthy delicious recipes as soon as TONIGHT?